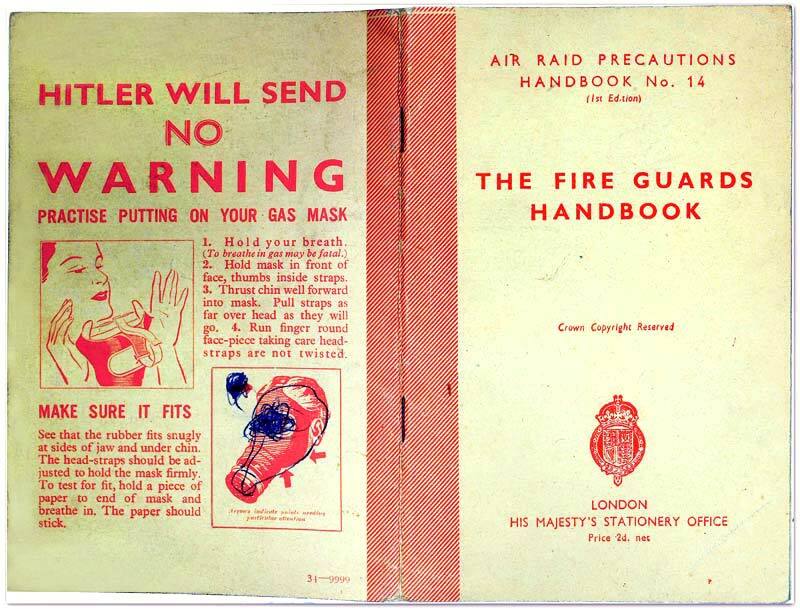 I vaguely remember the Home Guard, set up early in the war as a last ditch organisation to fight against any German invasion, which was expected any day at one time. It was made up of civilians who trained after work. It was disbanded before the end of the war when the danger was judged to have passed. It is most famously remembered in “Dads’ Army”, still being broadcast on Saturday evenings. 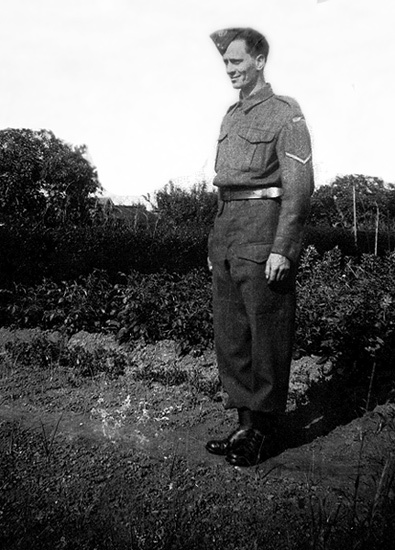 I do remember my father C. R. ‘Ron’ Martin (seen in his uniform here, I think on the allotments) who joined and at one time had a SMLE, 0.303 service rifle at home and which was kept strictly out of sight in the cupboard under the stairs. I don’t know if he had any ammunition at home, probably not. Even more exciting I remember my uncle Joe Martin “dry firing” a Bren gun on his yard and feeling jealous for my father ‘only’ having a rifle. Someone else had a ‘Tommy’ gun. I bet the Germans were relieved that they didn’t reach Mapperley! Cars - Reasons for the lack of cars seen in the village, apart from people not being able to afford them, was the fact that few were made, factories making tanks aeroplanes and other items for the ‘War Effort’. Petrol rationing was also very strict. War impinged less on the village than lots of areas; we did have for a spell when there were evacuees in the village. They were from either Coventry or Croydon and were due to arrive one evening, but arrived much later than expected and were met in the school with refreshments. Next morning, on arriving at the school we were given the left over egg sandwiches to finish up, which was regarded as a great treat. Arrangements had been made to accommodate the children, but some mothers also turned up which caused problems with allotting accommodation late at night. I remember my grandparents had a Mum and two children to stay; however I believe the adults soon returned. 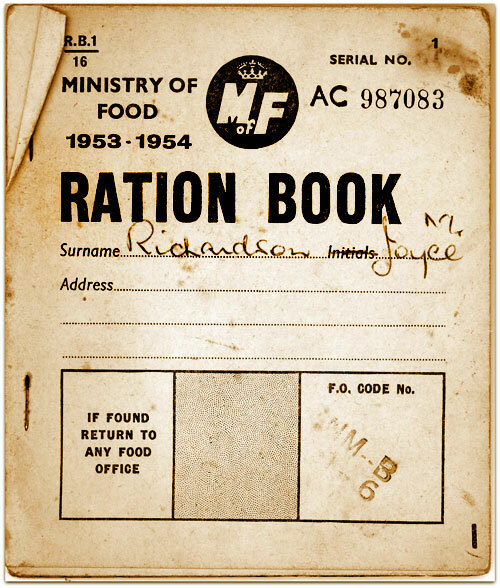 Apart from the egg sandwiches I can barely remember anything about the evacuees I’m afraid.